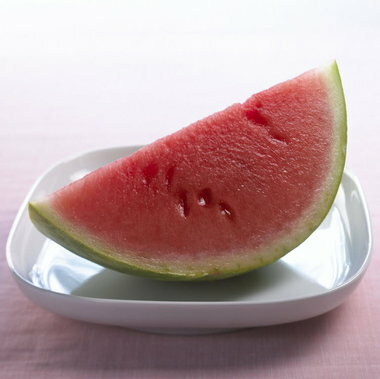 Packed with vitamin C, which repairs and firms the skin, watermelon is also full of its namesake: Water. Hence, it’s an ideal way to stay hydrated during the heat. But eating it comes with a cautionary note, warns Keri Gans, a Manhattan-based registered dietitian. “As much as you want to enjoy it, you don’t want too eat too much because calories will add up.” One serving of any fruit is about 60 calories. If you’re looking to drop weight this summer, skip the high-calorie soda and beer and opt instead for iced green tea. It’s a fat-burner, says Gans, author of the new book, “The Small Change Diet” (Gallery Books/Simon & Schuster, $15). Green tea’s specific anti-oxidants can help prevent certain types of cancer such as prostate, skin and ovarian. Plus, green tea can be versatile. Try making it in frozen ice-pop form or mixing green tea with sparking water for a new flavor. This summer staple gets a bad rap, but it’s only because corn devotees smother it in butter. Save calories by staying away from real butter (which has about 45 calories a pat) by choosing margarine instead. Or spritz an ear with olive oil and wrap it in tin foil before throwing it on the barbecue. Or try it au natural. Nutritionally speaking corn is brimming with fiber, which helps fill you up so you eat less, says Gans. Fiber has also been known to lower cholesterol levels and stabilize blood sugar.